The trust that forms the bedrock under U.S. financial markets is crumbling. [A theme we frequently explore. ] If we cannot believe CEOs when they swear to tell the truth, if companies can hide material risks, if boards cannot know what the executives they hire are actually doing, any pretense of “fair markets” is gone. The bigger picture is that a country’s economic health is correlated with a strong rule of law more than any other factor. 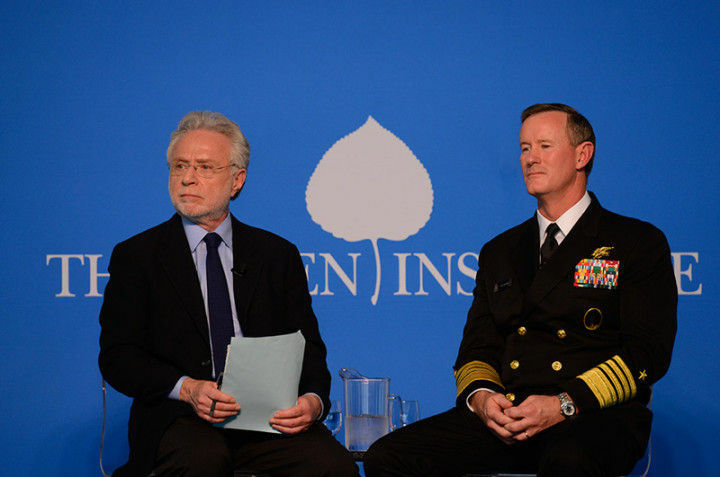 Seated on a stool before an audience packed with spooks, lawmakers, lawyers and mercenaries, CNN's Wolf Blitzer introduced recently retired CENTCOM chief General James Mattis. "I've worked with him and I've worked with his predecessors," Blitzer said of Mattis. "I know how hard it is to run an operation like this." Reminding the crowd that CENTCOM is "really, really important," Blitzer urged them to celebrate Mattis: "Let's give the general a round of applause." Following the gales of cheering that resounded from the room, Mattis, the gruff 40-year Marine veteran who once volunteered his opinion that "it's fun to shoot some people,"outlined the challenge ahead. The "war on terror" that began on 9/11 has no discernable end, he said, likening it to the "the constant skirmishing between [the US cavalry] and the Indians" during the genocidal Indian Wars of the 19th century. "The skirmishing will go on likely for a generation," Mattis declared. Mattis' remarks, made beside a cable news personality who acted more like a sidekick than a journalist, set the tone for the entire 2013 Aspen Security Forum this July. 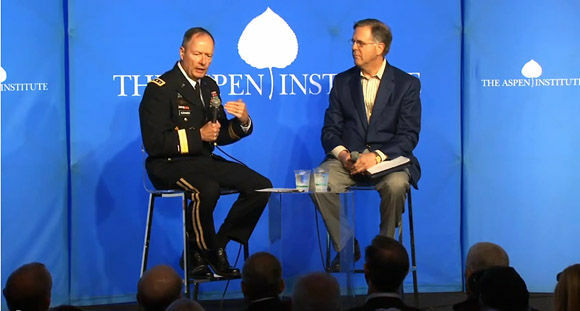 A project of the Aspen Institute, the Security Forum brought together the key figures behind America's vast national security state, from military chieftains like Mattis to embattled National Security Agency Chief General Keith Alexander to top FBI and CIA officials, along with the bookish functionaries attempting to establish legal groundwork for expanding the war on terror. Another forum sponsor was Academi, the private mercenary corporation formerly known as Blackwater. In fact, Academi is Blackwater's third incarnation (it was first renamed "Xe") since revelations of widespread human rights abuses and possible war crimes in Iraq and Afghanistan threw the mercenary firm into full damage control mode. The Aspen Institute did not respond to my questions about whether accepting sponsorship from such an unsavory entity fit within its ethical guidelines. John Ashcroft, the former Attorney General who prosecuted the war on terror under the administration of George W. Bush, appeared at Aspen as a board member of Academi. Responding to a question about U.S. over-reliance on the "kinetic" approach of drone strikes and special forces, Ashcroft reminded the audience that the U.S. also likes to torture terror suspects, not just "exterminate" them. "It's not true that we have relied solely on the kinetic option," Ashcroft insisted. "We wouldn't have so many detainees if we'd relied on the ability to exterminate people...We've had a blended and nuanced approach and for the guy who's on the other end of a Hellfire missile he doesn't see that as a nuance." Hearty laughs erupted from the crowd and fellow panelists. With a broad smile on her face, moderator Catherine Herridge of Fox News joked to Ashcroft, "You have a way with words." But Ashcroft was not done. He proceeded to boast about the pain inflicted on detainees during long CIA torture sessions: "And maybe there are people who wish they were on the end of one of those missiles." Competing with Ashcroft for the High Authoritarian prize was former NSA chief Michael Hayden, who emphasized the importance of Obama's drone assassinations, at least in countries the U.S. has deemed to be Al Qaeda havens. "Here's the strategic question," Hayden said. "People in Pakistan? I think that's very clear. Kill 'em. People in Yemen? The same. Kill 'em." "We don't smoke [drug] cartel leaders but personally I'd support it," remarked Philip Mudd, the former deputy director of Bush's Counterterrorism Center, earning more guffaws from his fellow panelists and from Herridge. Ironically, Mudd was attempting to argue that counter-terror should no longer be a top U.S. security priority because it poses less of a threat to Americans than synthetic drugs and child obesity. Comment: These same people and institutions have been and are responsible for producing and pushing those drugs: Opium and the CIA: Can the U.S. triumph in the drug-addicted Afghanistan War? Reflection was not on the agenda for most of the Security Forum's participants. When asked by a former US ambassador to Denmark the seminal question "This is a great country, why are we always the bad guy?," Mudd replied, "They think that anything the U.S. does [in the Middle East], even though we helped Muslim communities in Bosnia and Kuwait, everything is rewritten to make us the bad guys." The clamoring about U.S. invasions, drone strikes, bankrolling of Israel's occupation, and general political meddling, could all be written off as fevered anti-Americanism borne from the desert canyons of the paranoid Arab mind. Throughout the three days of the Security Forum, the almost uniformly white cast of speakers were called on to discuss recent geopolitical developments, from "Eye-rak" and "Eye-ran" to Egypt, where a military coup had just toppled the first elected government in the country's history. Mattis carefully toed the line of the Obama administration, describing the overthrow of Egypt's government not as a coup, but as "military muscle saddled on top of this popular uprising." Warning that using terms like "coup" could lead to a reduction in U.S. aid to Egypt, where the military controls about one-third of the country's economy, Mattis warned, "We have to be very careful about passing laws with certain words when the reality of the world won't allow you to." Wolf Blitzer mentioned that Egypt's new military-imposed foreign minister, Nabil Fahmy, had been a fixture in Washington during the Mubarak days. "These are people the West knows, the U.S. knows," he said of the new cabinet in Cairo. "I assume from the U.S. perspective, the United States is so much more happy with this." Later, one of the few Arab participants in the forum, Al Jazeera DC bureau chief Abderrahim Foukara, claimed that the Arab revolts were inspired by the U.S. invasion of Iraq. "The iconic image of Saddam being pulled out of a hole did something to the dynamic between ruler and ruled in the Arab world," Foukara claimed. "The American government should now have such a group asking how we should manage those lines and what should those lines be," McLaughlin told the panelists, who dismissed the idea of a new Great Game even as they discussed tactics for preserving U.S. dominance in the Middle East. ABC's Chris Isham asked Jim Jeffrey, the former U.S. ambassador to Iraq, why, with a recession on its hands and Middle Eastern societies spiraling out of control, should the U.S. remain militarily involved in the region. Without hesitation, Jeffrey rattled off the reasons: Saudi Arabia, Turkey, Israel, and "world oil markets." Comment: What, nothing about 'fighting terrorists over there so we don't have to fight them at home'? And what happened to 'spreading freedom and democracy'? "What could we have done better?" Isham asked the ambassador. "Make no mistake about it: These are great people who we're slamming and tarnishing and it's wrong. They're the heroes, not this other and these leakers!" NSA chief General Keith Alexander proclaimed, earning raucous applause from the crowd. Snowden's leaks had prompted a rare public appearance from Alexander, forcing the normally imperious spy chief into the spotlight to defend his agency's Panopticon-style programs and its dubious mechanisms of legal review. Fortunately for him, NBC's Pete Williams offered him the opportunity to lash out at Snowden and the media that reported the leaks, asking whether the "terrorists" (who presumably already knew they were being spied on) had changed their behavior as a result of the leaks. "We have concrete proof that terrorists are taking action, making changes, and it's gonna make our job harder," Alexander declared, offering nothing to support his claim. Alexander appeared in full military regalia, with colorful decorations and medallions covering his left breast. Casting himself as a stern but caring father who has the best interests of all Americans at heart, even if he can't fully disclose his methods, he turned to the crowd and explained,"The bad guys...hide amongst us to kill our people. Our job is to stop them without impacting your civil liberties and privacy and these programs are set up to do that." Comment: The "bad guys", seriously?! "The reason we use secrecy is not to hide it from the American people, but to hide it from the people who walk among you and are trying to kill you," Alexander insisted. Comment: LIES! The people succeeding at controlling (and often killing) Americans are walking among us, like the snakes in suits at such rallies as the Aspen Institute Security Forum. Corporations like AT&T, Google and Microsoft that had been compelled to hand over customer data to the NSA "know that we're saving lives," the general claimed. With a straight face, he continued, "And that's good for business because there's more people out there who can buy their products." So who were the "bad guys" who "walk among us," and how could Americans be sure they had not been ensnared by the NSA's all-encompassing spying regime, either inadvertently or intentionally? 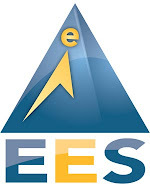 Nearly all the Security Forum participants involved in domestic surveillance responded to this question by insisting that the NSA had the world's most rigorous program of oversight, pointing to Congress and the Foreign Intelligence Surveillance Act (FISA) courts as the best and only means of ensuring that "mistakes" are corrected. "We have more oversight on this [PRISM] program than any other program in any government that I'm aware of," Alexander proclaimed, ramming home a talking point repeated throughout the forum. "I can assure these are some of the judges who are renowned for holding the government to a very high standard," John Carlin, the Assistant US Attorney General for National Security, stated. But in the last year, FISA courts received 1,856 applications for surveillance from the government. In 100 percent of cases, they were approved.As for Congress, only two senators, Ron Wyden and Mark Udall, demanded the NSA explain why PRISM was necessary or questioned its legality. Despite the fact that the entire regime of oversight was a rubber stamp, or perhaps because of it, none of those who appeared at the Security Forum to defend it were willing to consider any forum of independent civilian review. "You have to do [domestic surveillance] within a closed bubble in order to do it effectively," Dennis Blair, the director of National Intelligence conceded under sustained grilling from the Washington Post's Barton Gellman, one of the reporters who broke Snowden's leaks and perhaps the only journalist at the Security Forum who subjected participants to tough scrutiny. When Gellman reminded Alexander that none of the oversight mechanisms currently in place could determine if the NSA had improperly targeted American citizens with no involvement in terror-related activity, the general declared, "we self-report those mistakes." "It can't be, let's just stop doing it, cause we know, that doesn't work," Alexander maintained. "We've got to have some program like [PRISM]." During a panel on inter-agency coordination of counter-terror efforts, Mike Leiter, the former director of the National Counterterrorism Center (NCC), suggested that one of the best means of preserving America's vast and constantly expanding spying apparatus was "by reinstituting faith among the public in our oversight." Even as current NCC director Matthew Olsen conceded, "There really are limits in how transparent we can be," Leiter demanded that the government "give the public confidence that there's oversight. Since leaving the NCC, Leiter has become the senior counsel of Palantir Technologies, a private security contractor that conducts espionage on behalf of the FBI, CIA, financial institutions, the LAPD and the NYPD, among others. In 2011, Palantir spearheaded a dirty tricks campaign against critics of the U.S. Chamber of Commerce, including journalists, compiling electronic dossiers intended to smear them. Palantir's target list included progressive groups like Think Progress, SEIU and U.S. Chamber Watch. In the friendly confines of the Aspen Institute's Security Forum, Leiter did his best to burnish his company's tarnished image, and do some damage control on behalf of the national security apparatus it depends on for contracts. Like most other participants, Leiter appeared in smart casual dress, with an open collar, loafers, a loose-fitting jacket and slacks. "Just seeing us here," he said, "that inspires [public] confidence, because we're not a bunch of ogres." Comment: No, they not ogres, like most psychopaths in positions of power, they are well-dressed, affable, charming even, but they can't help exposing their psychopathic nature when they speak with glee about "exterminating" and torturing normal human beings. Bankruptcy Bail-Ins Are Retirement Accounts Next?